This playful little book is full of side-splitting inner monologues about a lab's favourite things, the people they meet and places they go. 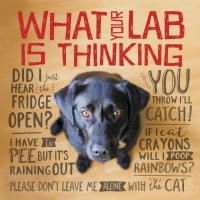 The bold colours and light-hearted quips are paired with an array of adorable yellow, black and chocolate dogs and puppies, making this the perfect gift book for anyone who's ever loved a lab. 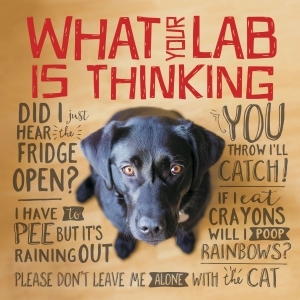 Labs are known for their furry snuggles, playful romping and soulful eyes - just think if their tongues were wagging instead of their tails!